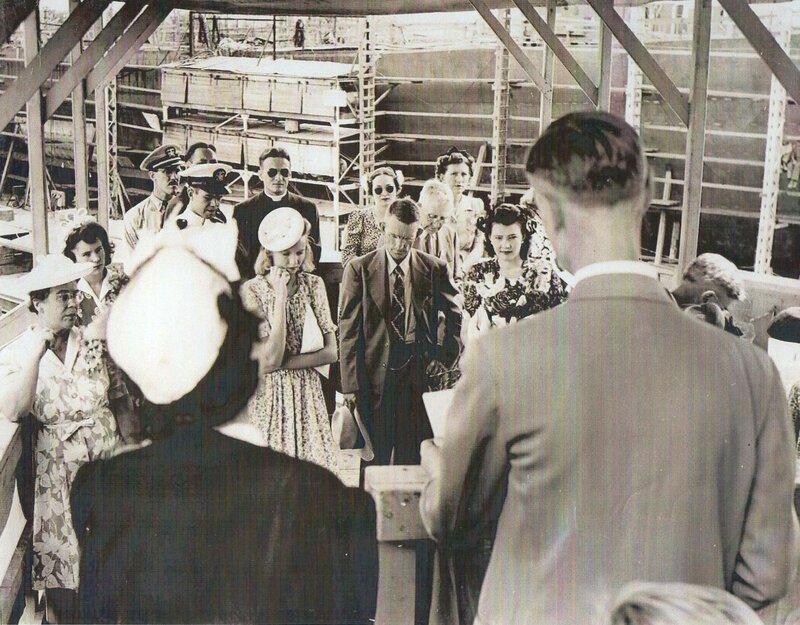 01 May 1944: Keel laid by the Consolidated Steel Corp., Orange, Tex. 10k Neldon Theo French, born 25 July 1918 in Benton County, Tenn., enlisted in the Marine Corps 09 September 1940, and was killed in action 09 October 1942 on Guadalcanal. Corporal French was posthumously awarded the Navy Cross for his heroism in fighting to his death in a defensive post on the Matanikau River, and shared in the Presidential Unit Citation awarded his division for its superlative performance in the initial landings on Guadalcanal. Cpl. 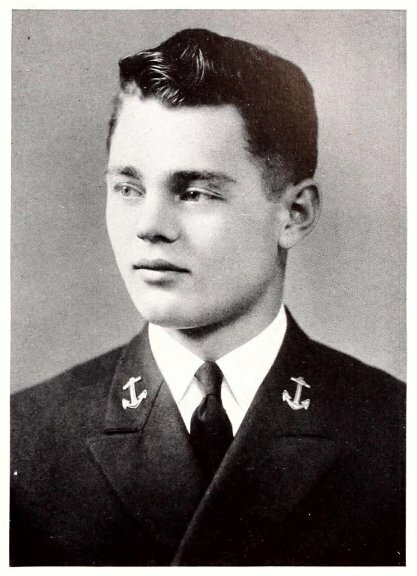 Neldon T. French awards included the Navy Cross, Purple Heart, American Defense Service Medal, Asiatic-Pacific Medal, and the Presidential Unit Citation. 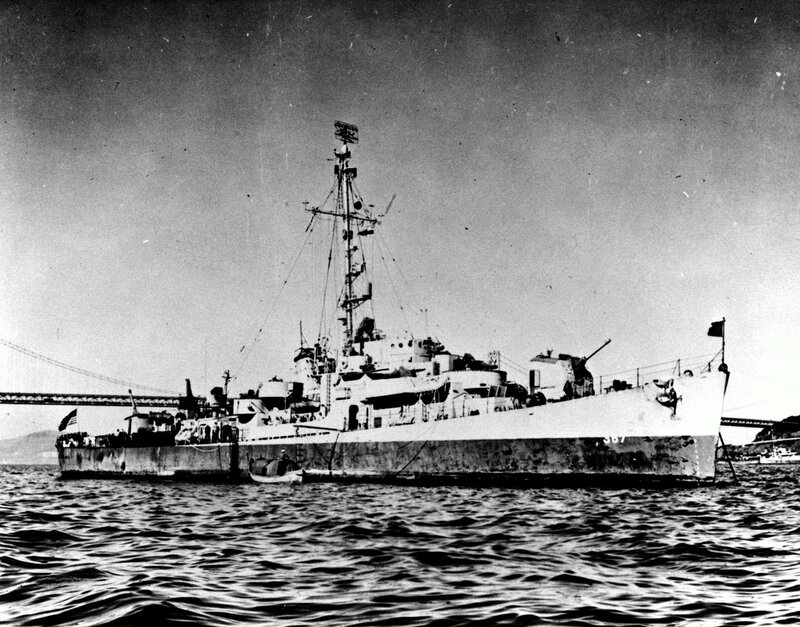 USS French (DE 367) (1944-1946) was the first ship to be named in his honor. 262k 17 June 1944: Orange, Tex. - Mrs. Alma French, mother of Corporal French. 238k 17 June 1944: Orange, Tex. 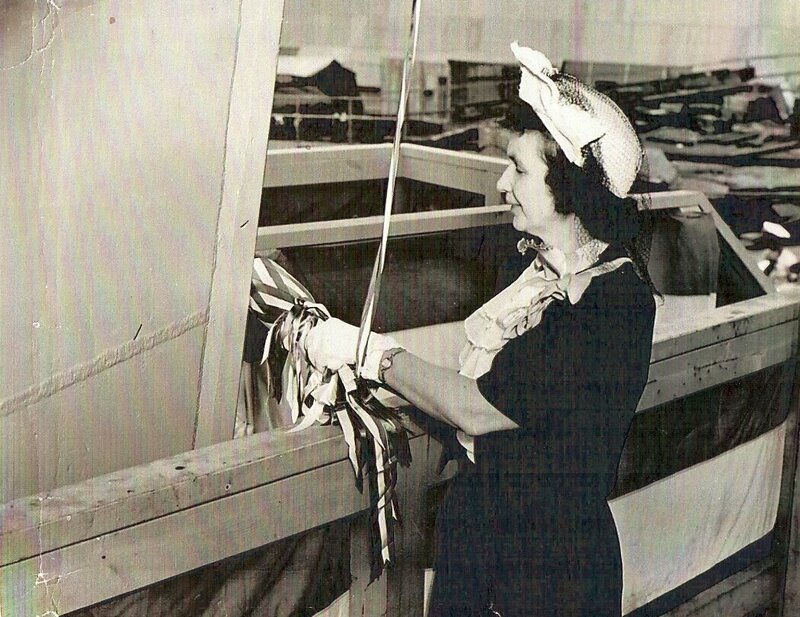 - Mrs. French prepares to christen the ship. 270k 17 June 1944: Orange, Tex. 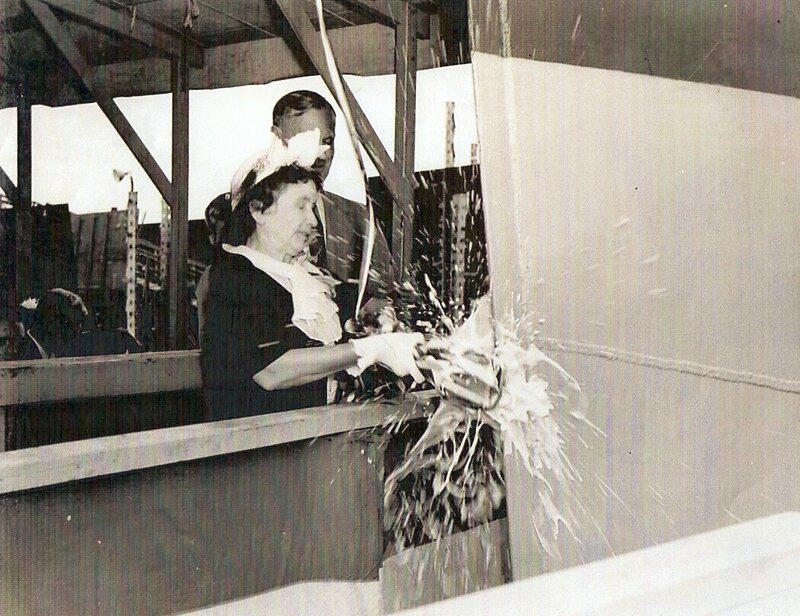 - Mrs. French breaks the traditional bottle of champagne on the ship's bow. 283k 17 June 1944: Orange, Tex. 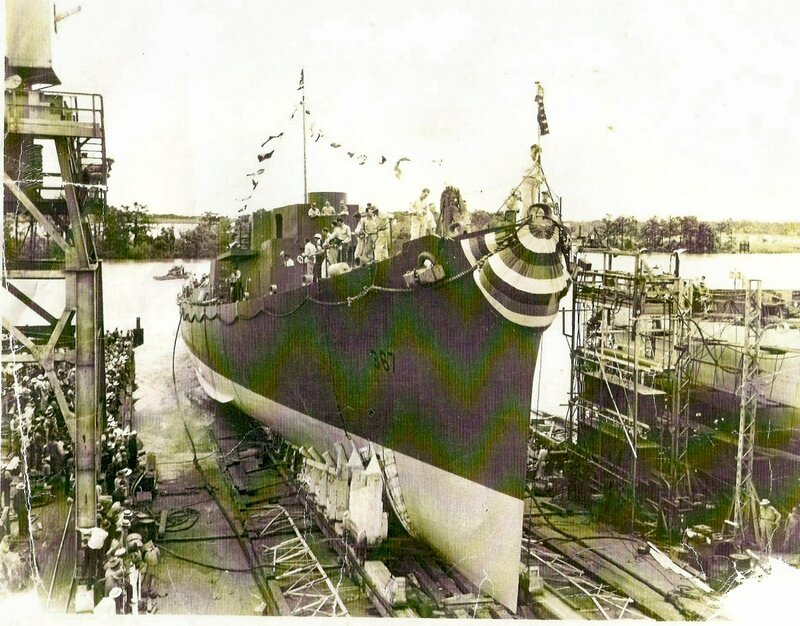 - USS French being launched at Consolidated Steel & Shipbuilding. 277k USS French (DE-367) off San Francisco in 1945-46. 56k 1972: Photo of mothballed ships moored together in the muddy waters of the Napa River at Mare Island. 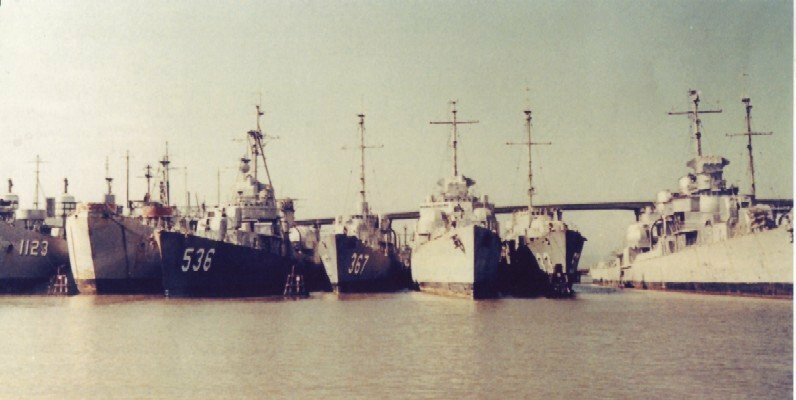 From left are Sedgwick County (LST-1123), an unidentified LST, Owen (DD 536), French, an unidentified destroyer, Howard F. Clark (DE 533), and another unidentified destroyer. 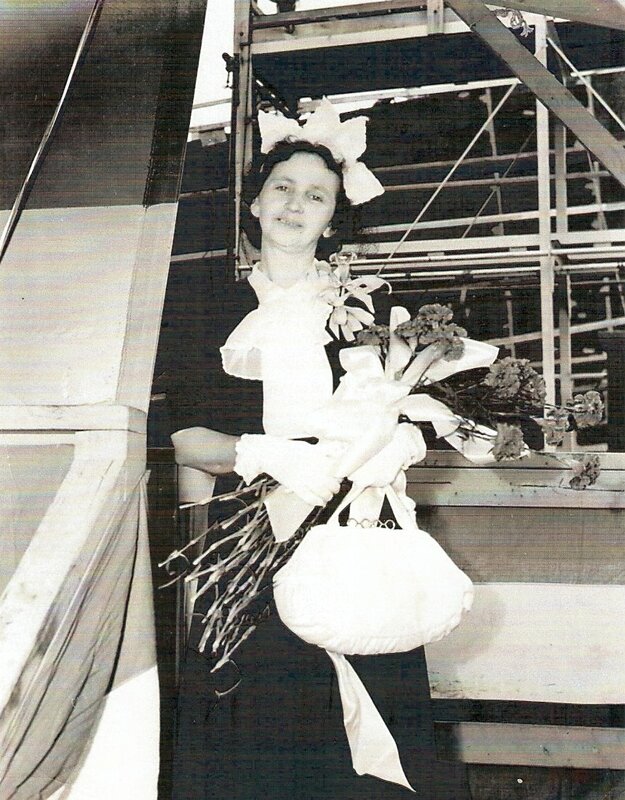 View the USS French (DE 367) DANFS history entry located on the Naval History and Heritage Command web site.